This is it – 100 strips. But, rather than boast, I’d rather hear from you guys. What have you enjoyed? What keeps you coming back? What more can I do to make Supervillainous a better comic than it already is? Let’er rip, folks. I’m listening. You can leave comments by clicking here, leave a trackback at http://supervillainous.spiderforest.com/comic/results-may-vary/trackback/ or subscibe to the RSS Comments Feed for this post. 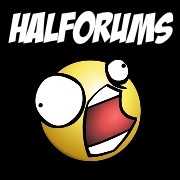 I have found this comic to be an enjoyable ride from the moment you started posting it on DA! Great art, solid jokes and story lines! Loved it from the word go! I forget how I found this webcomic (probably via a link on someone else’s), but I’ve been following from very early on. 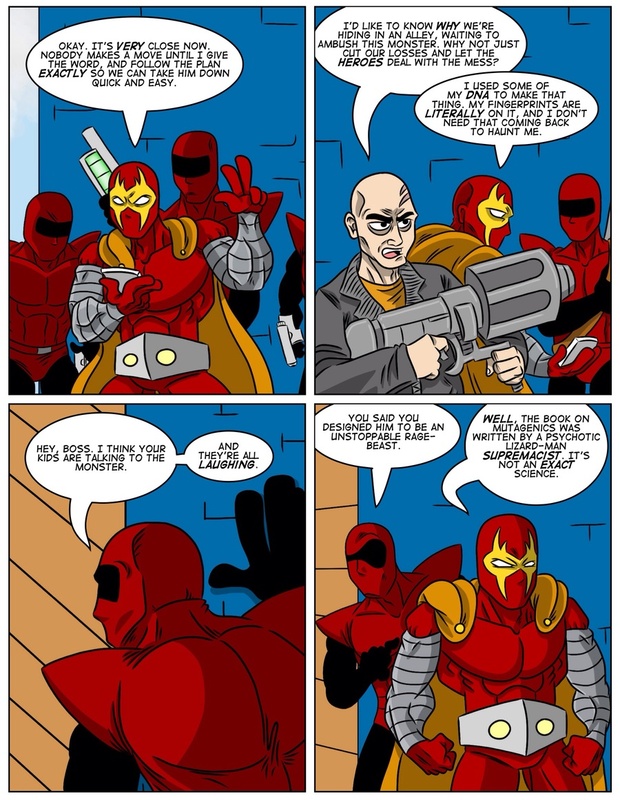 Supervillainous is great because I haven’t come across many comedic stories out there where the villain is the protagonist, and also because alongside the villain cliches we see him dealing with everyday things. I like that Crimson Claw has a human resources person and a lawyer, and it’s fun seeing a supervillain deal with any issues pertaining to his kids, whether it be timing his trip to Egypt to help his boy get an A, having henchmen babysit the kids, trying to talk them out of having a dog, attending parent-teacher conferences, or freaking out when learning his daughter used his mutagens to dye her hair. Your art style is fun too, and it’s interesting that the characters whose eyes you can’t see (especially Crimson Claw) are often the most expressive. His surprised expression (like in “Get Smarter”) makes me laugh. Congratulations on 100 strips, and keep up the good work! So Dr Connors (The Lizard) wrote the book on mutagenics? But seriously, this is a great comic. Your characters are approachable and funny and genuine. You handle the conceit of ‘evil’ as a career flawlessly, and blend it into the problems of parenting in a way that is both honest and fun. So this is the strip where everyone comments about how much like they comic? Well then – excellent spin on classic comic book villainy! I think my favorite strip so far is the appearance of future Kaley. Keep up the good evil work!